What coffee am I drinking at the moment? Wonderful pictures mate... I can almost taste that shot! Looks amazing!!! 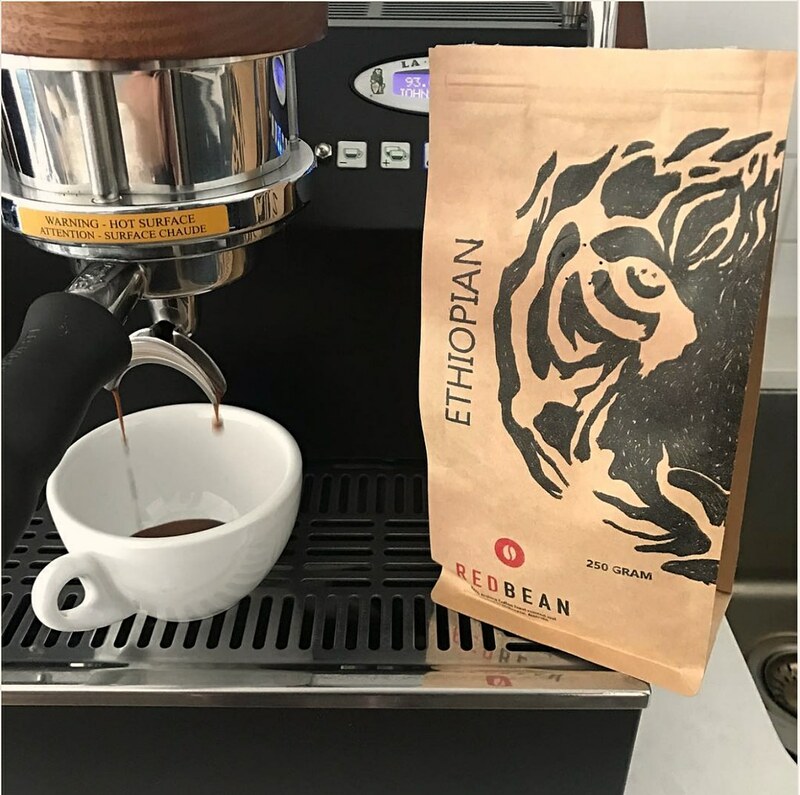 A single origin from the same local roaster found its way into my grinder today. 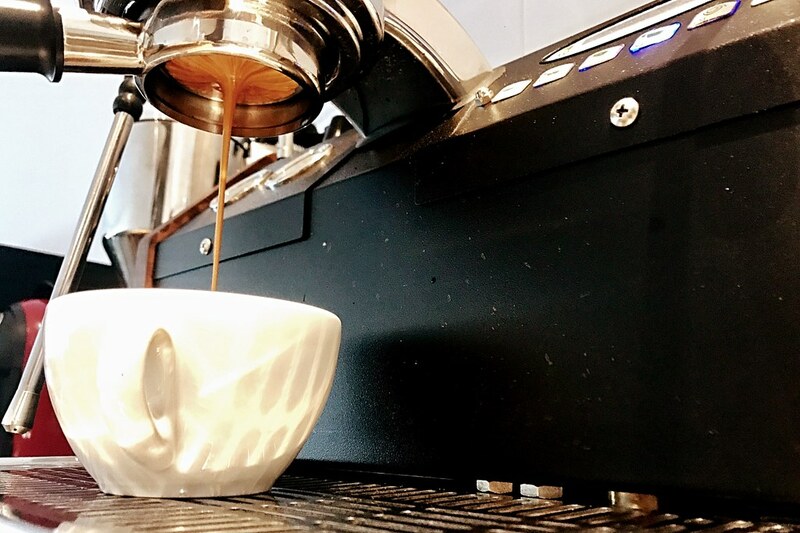 So far have had it as a double espresso and a latte and is beautiful either way, but of course i'll use it more as an espresso as its my preferred drink. My last little bit of Ethiopia Yirgacheffe Aricha Gr3 Natural in a double shot latte. This was the first batch I roasted to SC, just to get a baseline of when SC occurred with this bean. Was it nice? .... it was 'okay'! A Yirg to SC is a no-no for me XD. Far too dark... Couldn't get a nice drink even upon pulling the shot short and trying to purposely under extract. But I got it looking perrrty, my rosettas have been very hit and miss of late.. Drinking my Colombia Red Bourbon Honey Las Margaritas La Esperanza. I tried it day 6 post-roast and it was lacking substance... a little harsh, watered down and just wasn't very flavorsome. Poured a bit slow as well, but thought flavour-wise maybe I didn't get the roast right... A tad disgruntled, I left it a few more days. Waited till today (day 9) and wwwwowza.... it's absolutely popping with flavour! 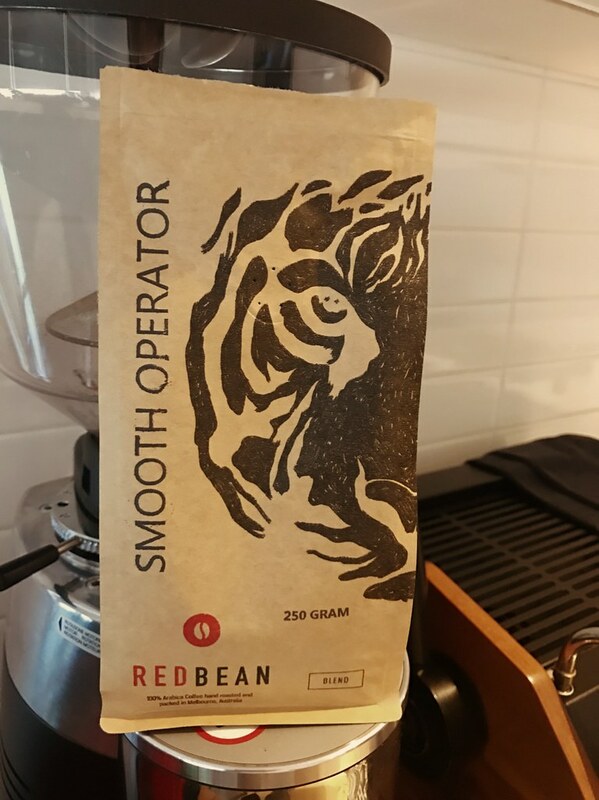 Not sure whether it was because if the longer rest or because I opened it up a bit more with a slightly coarser grind, but gosh darn it's good! Haven't ever roasted this one with the temps being monitored, so really happy with how this came out! Awesome and great picture too. I've just had a coffee but now I want another!!!! What...? 43 degrees today? Hmm, perfect weather for a long black! Ethiopia Sidamo Ardi natural is going down niiiice... first as double espresso (seems to always be my first up!) then as doppio latte. 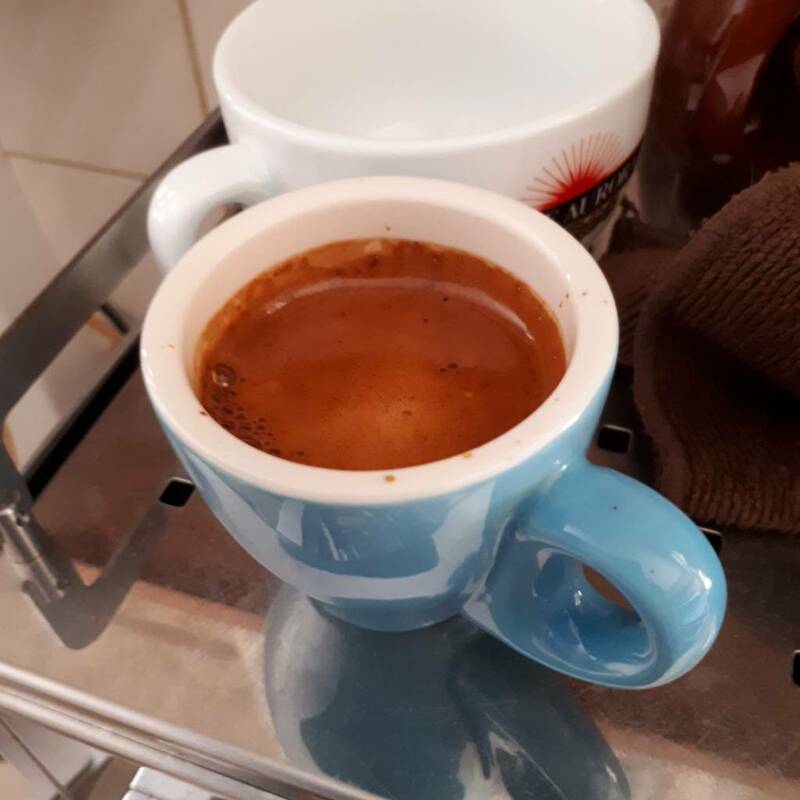 Resting this bean more, upping the ratio to about 1:2.25 and pulling a longer shot has helped heaps to eliminate any sourness. 23.5g in, 53g out in 35s. Just for something different today, a magic . Using my Yirg that I roasted a couple of weeks ago, a tad darker than I'd wanted the roast to go (a bean I've struggled a bit with roasting! ), but it's going ok strangely as a double ristretto! 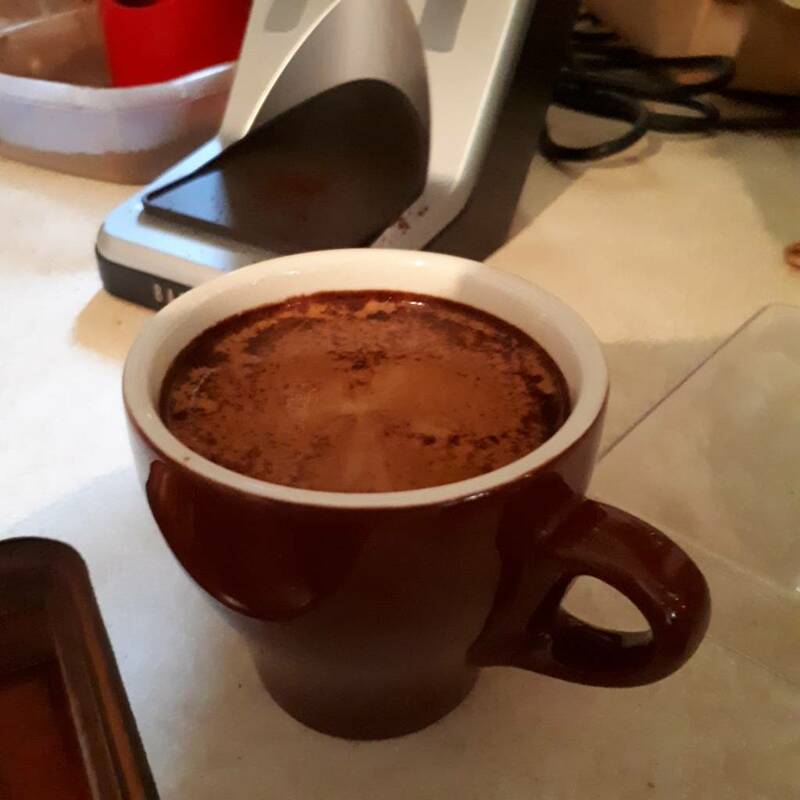 Centre Way blend, from mycuppa. Been a long, long time since I bought commercial beans, but a friend at work was ordering some decaf and I saw the Centre Way so thought why not. Bit disappointing as a short black, but I have been experiencing some problems with the Caravel recently - more on that separately. Thoroughly enjoying it as a pourover though. Nice hazelnut and chocolate notes, with good acidity. New Coffee-Jamaica Blue Mountain Coffee!! What coffee do you want to be drinking right now? Down Down, is this the worst ad on TV at the moment.